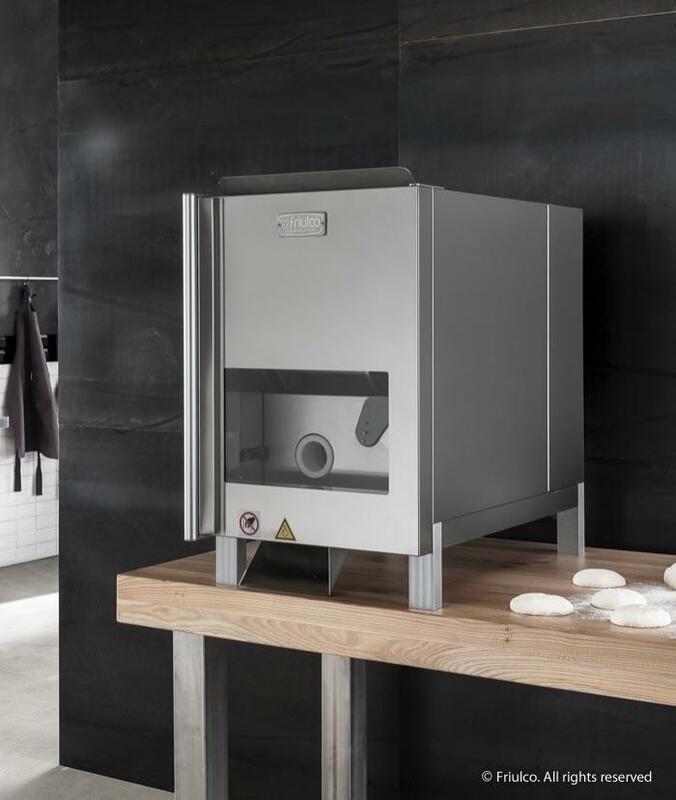 Capable of cutting up to 2500 portions per hour, the Friul Co Cubo will dramatically reduce dough production time, product handling, improve consistency and effectively save your business money. 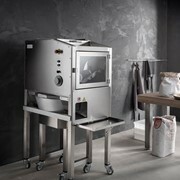 Easy to use, simply take your fresh dough, load it into the 42ltr hopper and dial in the dough portion size required. 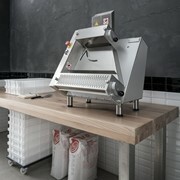 Compact bench top dough divider. 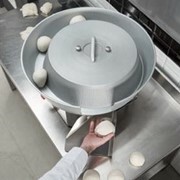 Works with most pizza, chapatti, fine pastry, piadina and bread doughs. 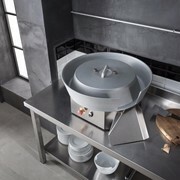 Large 42 ltr dough hopper. 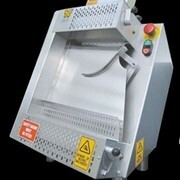 Accurately cuts and rounds up to 2500 portions per hour (portion sizes 20g – 180g). 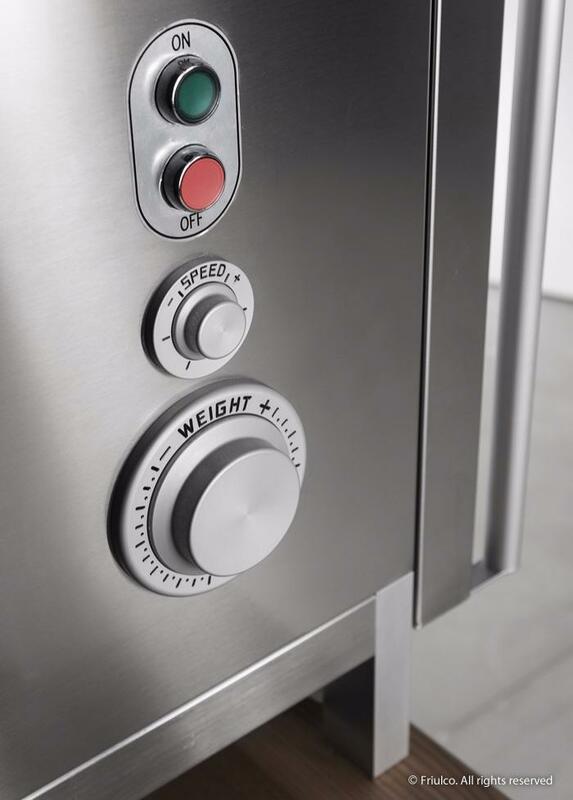 Incremental adjustment to obtain desired dough weights. Optical sensor for dough weight cutting. 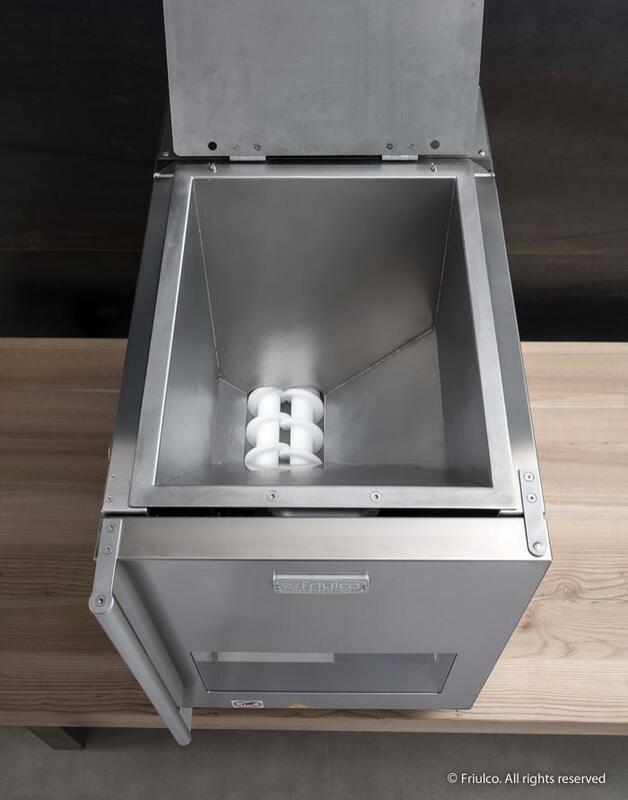 Removable dough hopper and all moving parts for cleaning. Safety interlocked circuit with emergency stop. Energy saving 920 watt 240 volt motor. 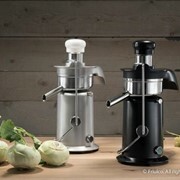 100% Italian made quality and innovation. 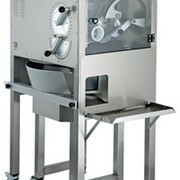 Australian distributor for Friul Co, Sirman, Bottene, Italgi, JPack, Capitani, Robodough® & Pastamac®. 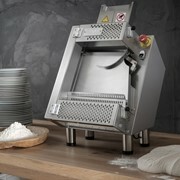 IFEA specialises in Pizza Equipment, Commercial Pasta Machines, Pasta Cooking Stations, Food Processors, Panini Grills, Meat Slicers, Packaging Equipment, Deli & Commercial Catering Equipment. IFEA has a comprehensive Australian wide network of dealers and service agents. 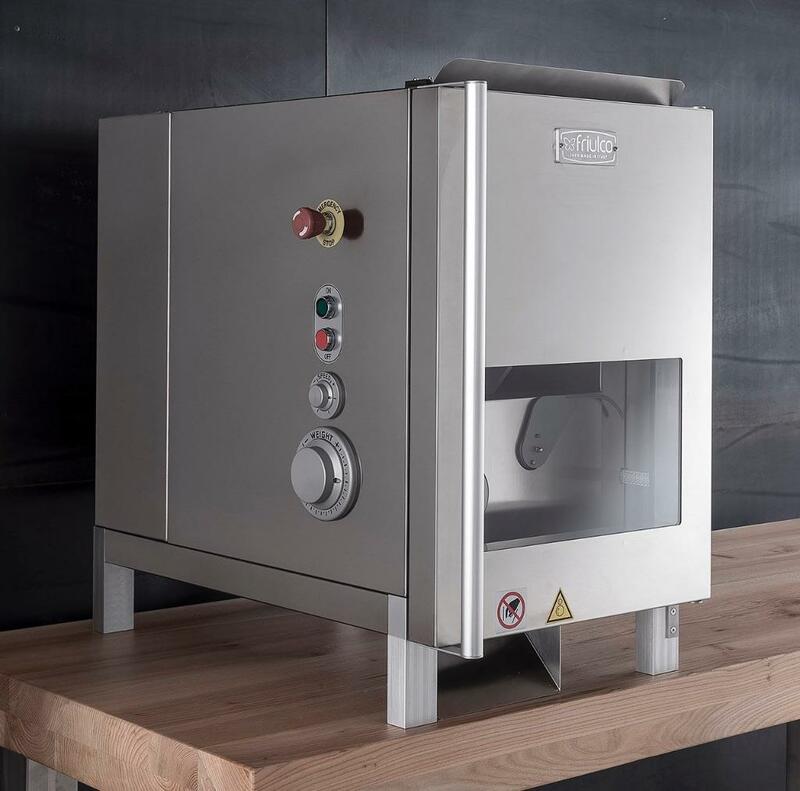 We are a supplier of food processing & hospitality equipment to national pizza chains, pasta manufacturers, QSR, institutions, restaurants, cafes, catering companies and food manufacturers. 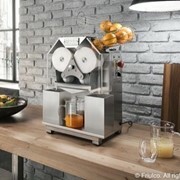 Mention HospitalityHub so IFEA (Innovative Food Equipment Australia) can best assist you! Get a callback from an expert at IFEA (Innovative Food Equipment Australia) to help answer your questions.